Riverpark Capital Management LLC The firm is a provider of portfolio management services in a select number of style boxes, including liquid mutual funds. The firm collaborates with other investment advisors in order to get the best for its clients. Riverpark Capital Management LLC submitted its SEC 13F Filing on November 4, 2014, for the third quarter ended September 30, 2014. The firm’s top three holdings according to the filing are The Blackstone Group L.P. (NYSE:BX), Realogy Holdings Corp (NYSE:RLGY), and Southwestern Energy Company (NYSE:SWN). The Blackstone Group L.P. (NYSE:BX) was the largest investment of Riverpark Capital Management LLC, having an investment value of $8.6 million. 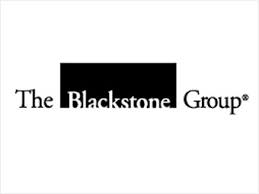 The Blackstone Group L.P. (NYSE:BX) is a multinational investment advisory firm, working consistently to provide investors with long lasting solutions for investors, the companies where the company invests, and the society at large. The financial manager is said to be zeroing in on a plan to sell 103.3 million shares in Hilton Worldwide Holdings Inc. Some of the subsidiaries of the firm are GSO Capital Partners, SeaWorld Entertainment, Pinnacle Foods, Motel 6, among others. The company’s top institutional shareholders are Fidelity Management and Research Company, Janus Capital Management LLC, and Morgan Stanley Investment Management Inc.
Realogy Holdings Corp (NYSE:RLGY) emerged the second largest investment of firm for the third quarter with an investment value of $7.7 million. Realogy Holdings Corp (NYSE:RLGY) is an integrated provider of residential real estate services. It’s a franchisor of residential real estate brokerages with some of the greatest brands. The company reported $100 million in profits for its third quarter of 2014. That meant a per share profit of 68 cents. The top three institutional shareholders of Realogy Holdings Corp (NYSE:RLGY) are Lone Pine Capital LLC, Paulson & Company Inc, and Vanguard Group, Inc. Southwestern Energy Company (NYSE:SWN) came out as the third biggest investment of Riverpark Capital Management LLC, and had an investment value of $5.4 million. Southwestern Energy Company (NYSE:SWN) is an energy company that focuses on natural gas and crude oil exploration. The company is involved in gathering, transmission, marketing, and distribution of natural gas. Imperial Capital has recently given Southwestern Energy Company (NYSE:SWN) an “outperform” rating and a one year price target of $50. The price target is about 50% of the current share price. The company has several subsidiaries, including SEECO Inc, DeSoto Drilling, Inc, Arkansas Western Gas Co,and DeSoto Sand Co. It’s top three shareholders are Sands Capital Management, LLC, Vanguard Group, Inc., and State Street Corp.